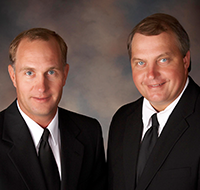 Mark Stock and Ron Stock are the co-founders and serve as board members of BigIron Auction Company. Serial entrepreneurs, the brothers are known throughout agricultural and business circles within the central plains of the United States for being innovators in all their businesses ventures and investments. Diversified agriculture, business services and rural community development have been the hallmarks of their respective career pursuits. Stock Realty and Auctions was started in 1984 with a commitment to provide the highest quality and value in real estate and unreserved auction services to its clients. Recognizing expanding client needs and the opportunity to reach broader markets for the capital equipment business, they launched BigIron Online Auctions in 2009. Through technology and innovation they developed BigIron for the sale of agricultural, construction, transportation and utility equipment with the same dedication to highest quality and value to an international audience with weekly online unreserved auctions. A corporate restructuring in 2016 provided a clear path for BigIron Auctions to facilitate both online and onsite unreserved equipment auctions. The restructuring allows the real estate company to continue its focus on providing regional real estate appraisals, sales and management of farms and ranches. Mark, known for visionary ideas while remaining true to his pragmatic values as a farmer, currently serves as Chairman of the Board of Directors. He continues as an active participant with senior management transition support on various projects including facilities expansion, FFA sponsorship, on-site auctions and BigIron brand development. Additionally, Mark is a recognized radio voice throughout the central plains and is licensed for auctioneering and real estate in several states and is a past Nebraska Reserve Champion Auctioneer. He has served on several company directory boards, including Proxibid as an advisory board member role during its formative era. He is an active member of several local community charities and organizations. He enjoys participating in farming activities, coaching little league baseball and spending quality time with his wife Kris and their four (4) children. Ron, the consummate big picture entrepreneur, continues to lead the real estate service company and is well known in the central plains ag-land based sales and service markets. As past Chairman and CEO of Stock Realty and Auction and BigIron, Ron’s high energy approach have been foundational to the companies launch and sustainability. Many associates have enjoyed the opportunity to reach their potential with his unique ability to inspire and motivate them to achieve. He is a graduate of Mason City College of Auctioneering and completed real estate studies and received licensing at Northeast Community College. Ron is a licensed auctioneer and real estate broker in multiple states. He is also a past Nebraska Reserve Champion Auctioneer. Ron and his wife Kristin enjoy boating, travel and entertaining family and friends. 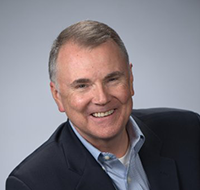 Andy is responsible for BigIron’s overall corporate strategy development and execution. A thirty year veteran in capital equipment asset management and financial business solutions, he currently also leads BigIron’s sales initiatives and business development. Andy is an established auction industry executive with a positive leadership style who thrives on setting and exceeding goals and expectations in technology enabled business environments. Previous to BigIron, he worked over 10 years at IronPlanet where he launched strategic account initiatives and led its national accounts/major accounts divisions as Vice President and later reorganized and was responsible for the company’s five Western U.S. regions. Earlier, he served as Senior Vice President, marketing and business development for Linc.Net and Vice President of fleet and supply chain services at MasTec, leading engineering and utilities infrastructure construction companies. Bill is responsible for creating BigIron's operations strategy and policies while also managing the company's technology development, assessment, and selection. Bill possesses the rare ability to capture the company vision and turn it into tangible success. He is an established technology executive with a reputation for achieving desired results within targeted timelines. Bill joined BigIron from Bettery, which he co-founded, a company that focused on sustainable alternatives to throw-away household batteries. Prior to Bettery, Bill was a member of the team that started IronPlanet, the first and now largest online marketplace for used construction equipment. 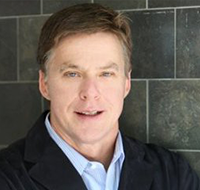 Bill was involved in IronPlanet’s original business launch and strategy development and served as the company's vice president of product management, and later as Chief Operating Officer. Prior to IronPlanet, Bill served as Vice President of research and development for Symantec.